We are home to just under 4,000 businesses that range from big brands such as Saga, Holiday Extras and Church & Dwight to smaller start-ups like Shane Record Paintings, which is one of many thriving creative businesses clustered in The Creative Quarter. There is a vibrant, dynamic business landscape that champions several key sectors, making the most of home-grown skills. Plus there’s ready access to apprenticeship schemes that nurture young talent. With London less than an hour away yet commercial property costing 77% less than in the capital, the area has an attractive offer with a rich source of new business clusters for anyone looking to locate here. Our area is a fast establishing hub for businesses in one of the UK’s fastest growing sectors – creative and digital media. In the last 10 years or so, Folkestone has benefited from significant regeneration, with investment by the Roger De Haan Trust into the Creative Quarter which is attracting this type of industry. Folkestone’s status as an emerging digital and arts-based cluster has been boosted with the development of The Workshop which is providing high quality accommodation for this type of industry, along with its Factory Floor for start-ups. 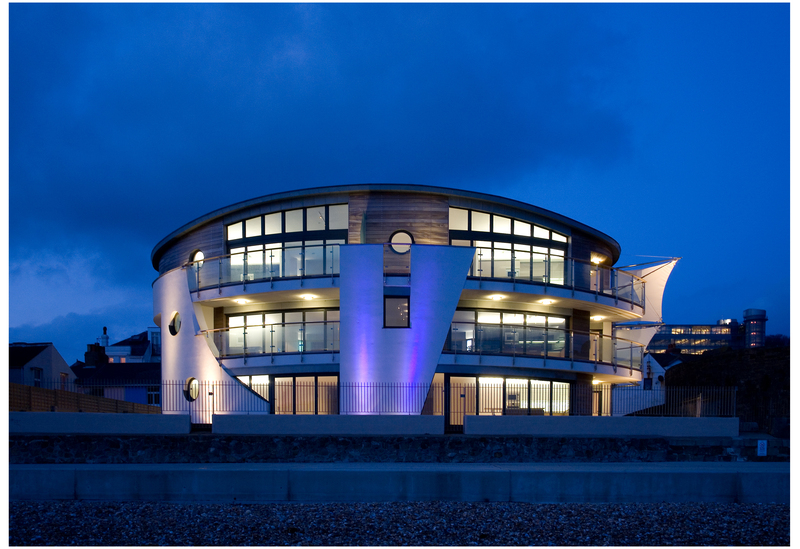 The Folkestone area has the highest level of finance and insurance services in South East England. Sitting conveniently between London, Paris and Brussels with fast rail and road links, it’s no surprise that it remains a favourable destination for the finance and insurance sector. Local universities offer a ready supply of talent, with many business and finance graduates, plus there’s Superfast Broadband to provide added support. Tourism and retail development sits at the heart of economic growth. We have a vast array of attractions – including the Quarterhouse in Folkestone, Port Lympne Wildlife Reserve near Hythe, and the attractive Leas Coastal Park – which all make us a tourism hot spot. Overseas visitors spend £18.5 million a year in the area and day visitors spend up to £122 million. 12% of all employment is generated by the tourism industry. We also have major new plans for Folkestone Seafront. Our area offers professional and cost-effective local expertise for the business sector. With a journey time to London in just 53 minutes, the area has attracted a respectable community of professionals including lawyers, accountants and architects, many of whom operate in the capital too. Home to Eurotunnel, it’s self-evident why Folkestone has a sector strength in logistics and distribution. The Port of Dover, Europe’s busiest ferry port, is just 15 minutes away. There is also to be investment in a lorry park at Westenhanger to provide a long term solution to Operation Stack, increasing the attractiveness of our area for regional distribution centres. Manufacturing operations benefit from a readily available workforce within the area. Commercial property sites are easily accessible with good motorway links plus access to the Port of Dover and Eurotunnel. Businesses can benefit from setting up their European supply chain here and run lines 24 hours a day, 7 days a week. These can be increased within sites that have space to expand. “Folkestone has a lot to offer. We have the Creative Quarter and the Leas, …with lots of places to eat.” Church & Dwight is a major manufacturer of household products including Batiste dry shampoo, Arm & Hammer baking soda toothpaste, Pearl Drops whitening toothpaste and Nair hair removal products. Although Church & Dwight is a US manufacturer, the company operates its European Supply Chain from the UK.